start of the massive "Seattle Scene" itself. 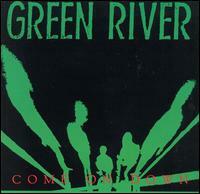 They became the first grunge band to release a record and later helping to establish the well-known Sub Pop label. 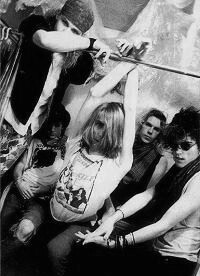 They had little impact outside of Seattle, but they certainly had wide influence on the genre itself, both with their own band and with the music its members would later create in future bands: Jeff Ament (Mother Love Bone, Temple Of The Dog, Pearl Jam, Three Fish, M.A.C.C. ); Stone Gossard (Mother Love Bone, Temple Of The Dog, Pearl Jam, Brad); Mark Arm (Mudhoney); Steve Turner (Mudhoney); Bruce Fairweather (Malfunkshun, Love Battery). 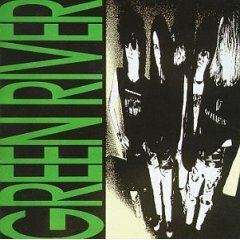 Green River, despite few projects and too few years together, influenced the sound of rock for years to come. It was infighting and "philosophical differences" that evenutally split the band apart in 1987. Steve Turner, later forming Mudhoney, left the band after the release of this six-track project. Click To Buy It! Dry As a Bone EP, produced by Jack Endino, combined with their full-length, Rehab Doll, plus 3 bonus tracks. Click To Buy It!